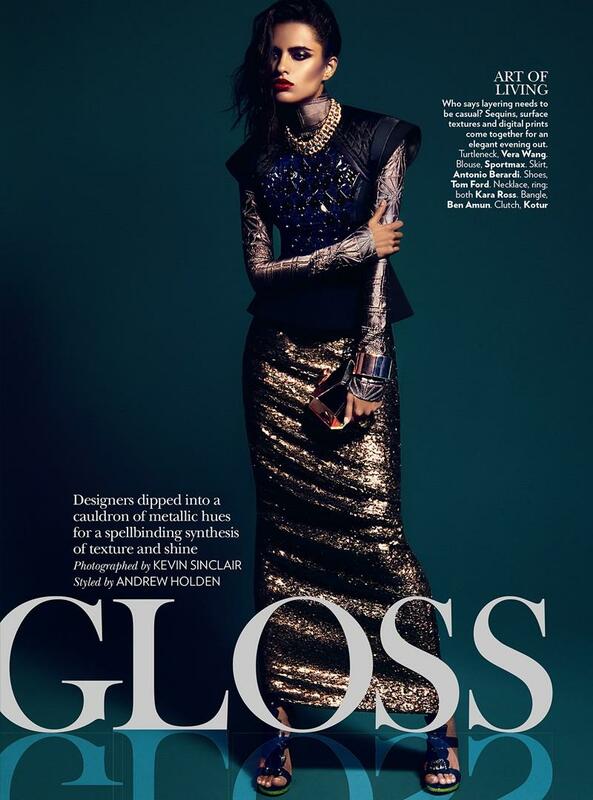 Top model Lakshmi Menon ushers in the new year with a high gloss finish in an editorial for the February 2012 issue of Vogue India.The Bangalore native is captured by Kevin Sinclair looking runway ready and nothing short of spectacular in ensembles embellished with gleaming sequins, luxuriant plumes, decadent fur and leather. Menon is one of the few Indian models to have achieved international success and recognition with editorial exposure in V, Dazed & Confused, Elle, Harper's Bazaar, and the French, Spanish and American editions of Vogue. Added to Menon's editorial sheen are campaign credits for Givenchy, Hermes, MaxMara and H&M. With India hosting one of the most rapidly growing economies, it is mind boggling that designers and advertisers appear reluctant to recognise the untapped market potential that would benefit from greater diversity in modelling's ranks. If this editorial is anything to go by, I'm hoping for Menon to make a welcome return to the runways for Fall/Winter 2013 accompanied by fellow compatriots Kelly Gale, Ninja Singh, Alyssah Ali and Ashika Pratt.